When a product is identified by experts as best-in-class it's worth a look. It seems like every day we are seeing something new and completely innovative coming out of the building industry so when a product is called out by experts as best in class, it’s worth a notice. This year’s CertainTeed award-winning products include drywall that can improve air quality, metal roofing that offers the look of classic materials with the protective benefits of steel, and maintenance-free synthetic cedar siding that’s almost indistinguishable from the real thing. Read on to learn more. AirRenew drywall proactively captures formaldehyde and converts it into a safe, inert compound. Building a healthy home environment starts with the air you breathe. 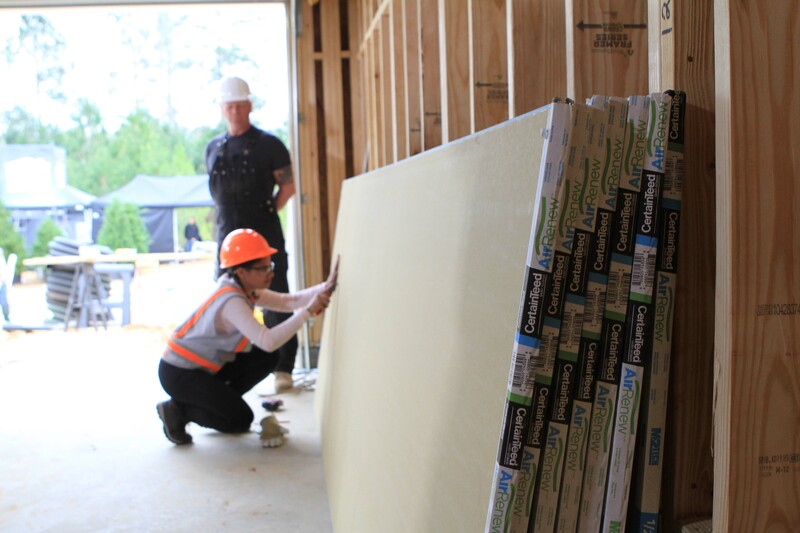 AirRenew is a first-of-its-kind patent-pending drywall specially designed to take formaldehyde out of the air to improve indoor air quality. AirRenew was also selected as a favorite 2017 kitchen and bath find by The Nest. Bring home the most durable drywall ever. Habito drywall offers impact resistance, blocks sound and can hold up to 30 lb. on a single screw – no stud finder, no predrilling and no wall anchors needed. Habito was also selected by Today’s Homeowner as one of the top 10 most innovative products at the 2017 International Builders’ Show. Mold growth in the wall can be hard to detect and is a pain to remove. Prevention is by far the better option. M2Tech is specially engineered to provide enhanced protection against mold growth. SilentFX QuickCut noise reducing drywall reduces airborne sound transmission between rooms up to 90%. Deliberately designed for maximum performance and easy installation – just snap and install like standard drywall. Presidio metal roofing combines the authentic look of slate, tile or shake and the strength of deep drawn steel. Advanced polymer coatings and high-performance paint provide outstanding rust resistance. Class A fire resistant, Class 4 impact resistant, and 130 MPH wind rating. CertainTeed roofing was also voted top in quality by home improvement professionals in Remodeling magazine’s biennial brand use study. Cedar Impressions Individual 5-inch Sawmill Shingles in Cedar Blend. 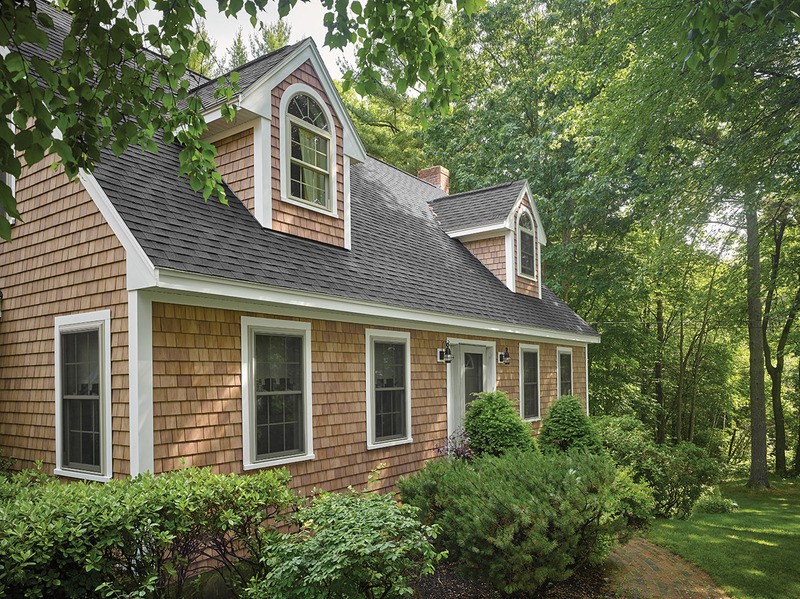 Cedar Impressions offers the industry’s first color-through variegated polymer shingles feature innovative blended color throughout and provide homeowners the beauty of natural cedar shingles without the high-maintenance demands of real wood. CertainTeed siding was also voted top in quality by home improvement professionals in Remodeling magazine’s biennial brand use study. It’s been a good year for building innovations and we are proud to be recognized among the best. We have more great things planned for 2018, so stay tuned. If you have questions about these or any of our products. Give us a call. We’re happy to help. For more stories of products doing double duty check out our innovations series.